The 48th founding anniversary of Jahangirnagar University (JU) was observed on Saturday on the campus amid festivity. To mark the day, the whole university area wore a festive look as over thousands of former and current students, teachers, officials and employees of the university gathered at a daylong programme on the campus. JU Vice-Chancellor Prof Farzana Islam inaugurated the daylong event as the chief guest by hoisting the national flag and releasing balloons in front of the Business Studies Faculty in the morning. Addressing the function, Prof Farzana Islam said: "The aim of a university is to create new knowledge that can serve the world. So, we want to build up our university as knowledge producing factory". 'We have many achievements in the last 48 years. We have produced many scholars from this university who are working in different sectors in home and abroad. Now our major aim is to maintain quality of education in this university," she added. Pro-VC (administration) Prof Amir Hussain, Treasurer Prof Sheikh Monjurul Huq, Acting Registrar Rahima Kaniz, Deans of faculties and Provosts of dormitories were, among others, present at the inaugural session. Later, a colorful rally, led by the JU VC, brought out from the Business Studies Faculty that ended at Selim Al Deen Muktamancha after parading different streets on the campus. The daylong programme included a puppet show, staging drama, and cultural function organised by Student Welfare and Counseling Centre of the university at the Selim Al Deen Muktamancha. The event ended through folk song presented by eminent folk singer Momotaz Begum, MP, in the evening. 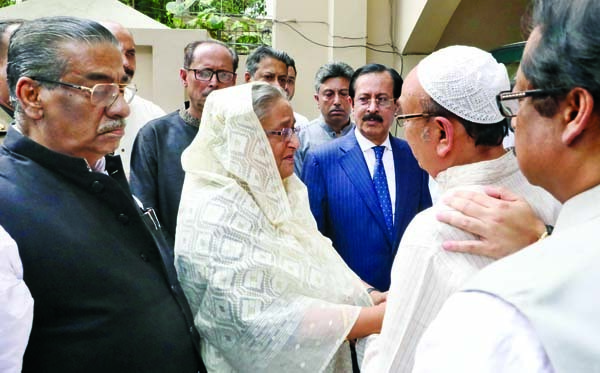 Prime Minister Sheikh Hasina visited the residence of Awami League Presidium Member Sheikh Fazlul Karim Selim in the city's Banani on Wednesday and consoled the family members of Zayan Chowdhury who was killed in a deadly bomb attack in Colombo on Easter Sunday. 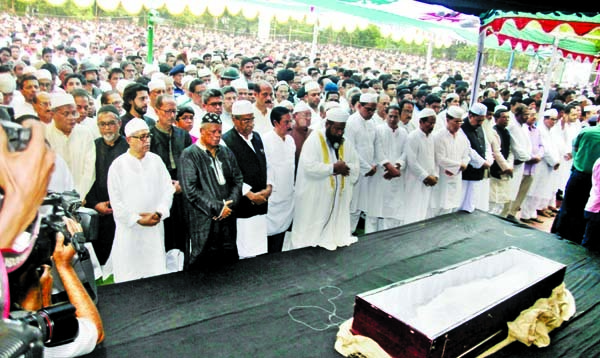 The Namaz-e-Janaza of Zayan Chowdhury was held at the ground of Chairman Bari in the city's Banani on Wednesday. Education Minister Dr. Dipu Moni, among others, at the inauguration of a photography exhibition titled 'Glimpses of Photography' at the Faculty of Fine Arts of Dhaka University on Wednesday.